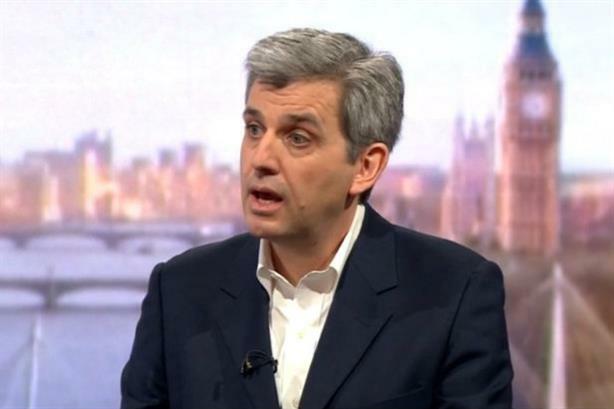 Google EMEA's vice-president for comms and public affairs has appeared on BBC's The Andrew Marr Show to defend the firm's tax arrangements in the UK. Barron's appearance yesterday came a week after it was reported that the US tech giant had reached an agreement to pay £130m ($185m) in UK back taxes, news hailed as a victory by the Government. However, PRs told PRWeek last week it was unlikely to buy the firm much goodwill, and would instead lead to further, difficult questions. Marr opened the interview by asking: "Just for the record, how many meetings has Google had with ministers and the HMRC in the last year?" Barron replied by saying he had "no idea", and Marr responded by suggesting it would have been "many". Barron was unable or chose not to give solid numbers on several other occasions in the 11-minute interview – something that earned him derision by some Twitter users – including when Marr said the firm paid an average salary of £160,000 to its UK stuff, and Barron told Marr he should "take that with a pinch of salt". Barron also used the interview to clarify that the £130m paid was "additional tax" rather than being the only UK corporation tax the firm had paid in 10 years, and twice corrected Marr when the journalist said Google had reached a "deal with the Government" – Barron said it was not a "deal", but a "settlement". He also explained Google's legal structure in Europe, saying: "When anybody buys advertising from Google in Europe, they buy it from Ireland." Asked by Marr whether Google was on a level tax playing field with small businesses, Barron said: "In the UK we pay corporation tax at 20 per cent, there's no sweetheart deal, it's absolutely the same corporation tax as everyone else." Referring at the end of the interview to comments by Margaret Hodge that Google's situation showed there was a need for reform to tax systems globally, Barron said: "If the laws change – and Margaret has made a very good case for them to change – we would of course follow them." Marr said that the firm had suffered reputational damage as a result of media coverage of its tax affairs in this past week. This same conclusion was also drawn by Labour's shadow chancellor John McDonnell, speaking to another BBC TV show the same day, saying: "The reputational damage to Google, I think, is immense." McDonnell also published his own tax return in the Daily Mirror and on Twitter in response to the row.